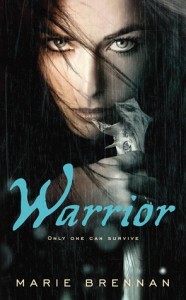 Today’s guest is fantasy author Marie Brennan! 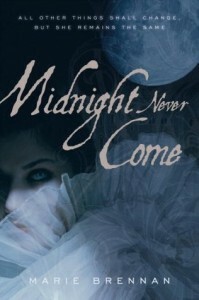 While I haven’t read any of her books or short fiction (yet), I’ve wanted to ever since hearing about Midnight Never Come, a fantasy set in Elizabethan England. 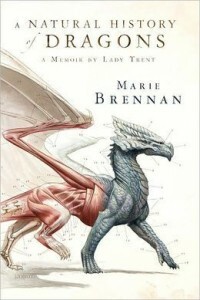 Her newest book, A Natural History of Dragons, has a striking cover and some recent reviews have tempted me to start with this particular book when I do read one by her! 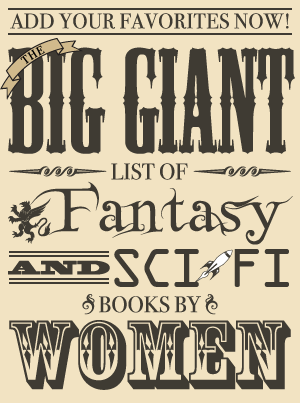 Today she is discussing the complications of writing about sexism in fantasy settings. When I was writing historical fantasy, I decided to stick as closely as I could to documented reality, and slide my faeries and their actions into the shadows and the crack of what we know. That meant, of course, that I had to deal with the historical facts of prejudice: gender, race, religion, and so on. I had some wiggle room with the faeries, whose view of things might be different from that of mortal humans — and, of course, there’s a gap between how the characters perceive matters, and how I present them in the story — but I couldn’t simply handwave those issues out of existence. I wasn’t writing alternate history. When you write a novel set in a secondary world, though, you can’t use historical reality as your reason for including those things. Not to the same extent, anyway. The setting of A Natural History of Dragons is based on the real nineteenth century, but the countries are Scirland and Vystrana and Chiavora rather than England and Romania and Italy. Which means that when my characters have problems with sexism, it’s because I decided they should — not because doing otherwise would be revisionist. I’m choosing which parts of my inspiration to keep, and which to toss out. Why did I decide to include Victorian-type sexism in my story? It isn’t just a side note in the world; it’s a focus point in the story, one of the major issues in Isabella’s life, as she tries to pursue an unladylike career as a natural historian. Looking at reviews (yes, I look at my reviews), some readers have loved watching her achieve her dream, in the face of that prejudice . . . but others have not. They’re tired of that story, and tired of mentally inhabiting worlds with those kinds of problems. They’d rather a world where women can be awesome, without having to vault over hurdles along the way. I can understand that, and I think there’s a place for that kind of story. (A place that is frequently “on my shelf.”) But the “natural historian” concept made me gravitate to the nineteenth century mode, which comes with a lot of baggage — and for me, at least, it feels a bit like a cop-out if I only take the shiny parts of that history and leave the bad stuff behind. A great deal of what makes the nineteenth century feel like the nineteenth century is its shortcomings, as well as its pretty side, and I need both. It’s the effect of writing that historical fantasy, I think: I feel like I’d be writing Disneyland Victoriana. A watered-down, blandly-flavored imitation of the real thing, without the complexity that makes the period problematic, but also interesting. But that’s not a judgment against the readers who don’t like it. As I said, I understand where they’re coming from, and I’ve enjoyed plenty of books that play much looser with these issues. For me, a lot depends on how well the author understands the kind of prejudice they’re trying to depict. A caricature of sexism isn’t interesting to me, and a story about someone overcoming that caricature is unengaging. In those instances, I’d rather the whole mess got chucked out the window, in favor of the woman or girl just going ahead and doing whatever she pleases. Of course, there’s a fine line there; some stories have driven me away because they depicted prejudice and constraint too well, to the point where I felt miserable and trapped just reading them. And then sometimes a book that doesn’t put any kind of sexism in its heroine’s way feels unrealistic to me, because the open-mindedness comes across as an inconsistency in the setting. So it isn’t simple. The only reliable answer I can give is that I, personally, want the full range of stories, the ones with sexism as well as the ones without. It’s clear there’s a desire for both: a triumph over prejudice wouldn’t speak to readers now if it weren’t still a problem in the world, but at the same time, reiterating the problem in fiction isn’t always what people want. 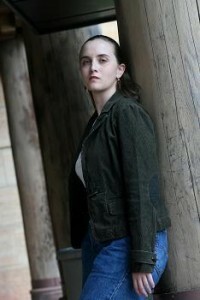 Marie Brennan is the author of eight novels, including A Natural History of Dragons, the Onyx Court series, and the urban fantasy Lies and Prophecy. She has published more than forty short stories in venues such as On Spec, Beneath Ceaseless Skies, and the acclaimed anthology series Clockwork Phoenix. More information can be found on her website: www.swantower.com.